Fridays from 9 am to noon. Valid dates: May 1 through April 30 annually. It is suggested that the Connestee Falls fishing license be displayed on your hat or on your clothing so that it may be easily seen from shore by Security Officers and others. 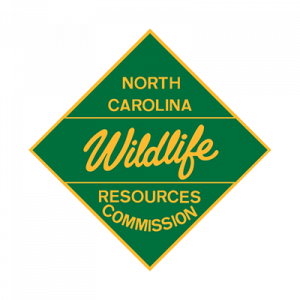 All non-member guests are required to have a CFPOA fishing license and a North Carolina fishing license; only persons under 16 are exempt if accompanied by an adult. The intent of the daily and weekly CFPOA guest fishing license is to offer fishing on an occasional basis to family and friends who are guests of property owners. Abuse of the intent of the guest license shall result in the revocation of all guest licenses held by the member and prohibit future purchase of guest licenses without General Manager approval. Members and associate members in good standing may purchase up to three daily or weekly CFPOA guest fishing licenses (daily – $5, seven day – $14). Non-member guests are allowed to have a maximum of 14 days fishing per year per individual, regardless of member sponsoring the pass and guest license. During Times when the CFPOA Administration Office is closed, a one day guest license may be obtained at the Main Gate Security post. Please respect the rights of Owners. Do not fish from private property without written consent of the owner. No more than two (2) lines in the water at any time. No trot or jug lines. Do not discard trash, fish viscera or cigarette butts in the water. Fish may be taken only with hook and line. Landing nets may be used to land fish caught on hook and line. See “limit and size of fish” publishing in CFPOA Rules and Regulations and on handout sheets provided when purchasing a license.